The day you propose to the person you wish to spend the rest of your life with is one you'll never forget. This can set the tone of your marriage, which is a life-long journey and commitment. Create the perfect beginning to your new life together with a romantic, heartfelt proposal. Creativity and planning are necessary if you want to make the event unique and memorable. A romantic proposal for your wife-to-be is one she'll never forget. A romantic marriage proposal for the nature lover involves a surprise picnic. Arrange with a friend or family member to set up a picnic, complete with your love's favorite foods, chocolate-dipped strawberries and champagne in a predetermined area of a park. Take your girlfriend out on a hike or nature walk, taking a route that will allow you to stumble upon the romantic set-up. Keep the ring on you, or have your helper hide it in the picnic basket, and choose a moment during your meal to pop the question. A simple, romantic marriage proposal that you can execute at home involves drawing a bath for your loved one. After luring her in with a massage or homemade dessert, encourage your girlfriend to settle in on the couch for a moment while you draw her a warm bath. 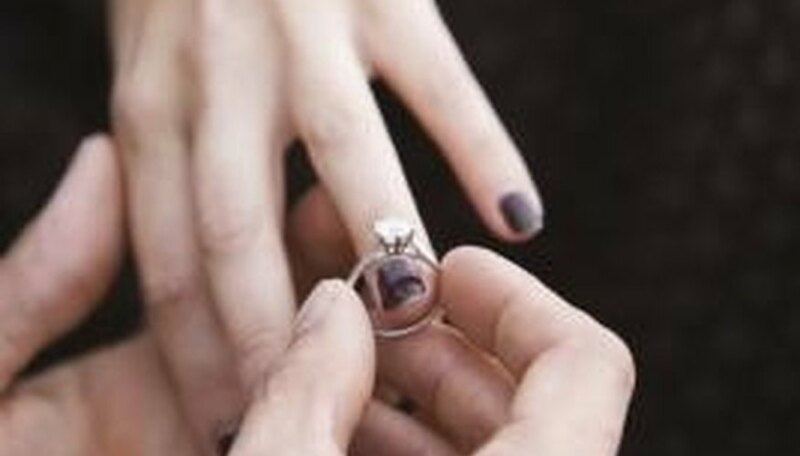 When you're sure she won't walk in, thread the ring onto a ribbon and attach the ribbon to a floating rubber duck or candle, which can be placed on the bath water. After checking that the drain is well-plugged and sprinkling the area with rose petals, call your girlfriend in. Establish a romantic lead-up to your proposal by recreating your first date or first kiss. Choose the exact location, such as an area of the beach or a certain table at your favorite restaurant, and incorporate as many accurate elements as possible, including background music, clothing and the time of day. Once your girlfriend begins to realize the lengths you have gone to to recreate that special day, get down on one knee and propose. Plan a day at the beach with your love interest. The night before, write a love poem or simply "Will you marry me?" on a piece of parchment paper and, after rolling it up, seal it inside an antique glass bottle. Go to the beach early to bury the bottle in a well-marked spot on the beach near which you should set up your towels and beach supplies when you arrive with your girlfriend. Arrange it so that you find the bottle while digging together; have the ring with you, and be ready to propose. Oliver, Chelsea. "Romantic Engagement Proposal Ideas." Dating Tips - Match.com, https://datingtips.match.com/romantic-engagement-proposal-ideas-8183364.html. Accessed 20 April 2019.